Part of life is death – we all will die at some point and we all naturally assume it will happen when we are much older. Unfortunately accidents and terminal illnesses mean that life can be cut short at anytime and at any age. When you are young, free, single, mortgage free without children you could say there is no need for life cover and you are most probably right – but once you start to have financial commitments such as a mortgage with a partner and possibly children, things change. You have to consider the financial effect your death will have upon your loved ones. This is a policy that pays out a sum of money upon death of the person(s) covered within the policy’s chosen term. This pays out a fixed sum of money throughout the term of the policy – i.e. £100,000 over a period of 20 years. It may also be possible to add an indexation option to protect against inflation. 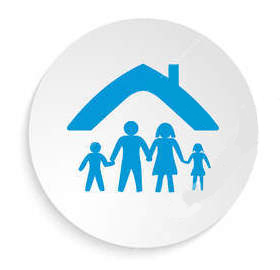 This type of policy can be used to protect an interest only mortgage or to provide cover for family protection. This pays out a lump sum of money throughout the term of the policy. The amount payable will decrease (reduce) on a monthly basis – this type of policy is commonly used to protect a repayment (capital & interest) mortgage or any other reducing debt. 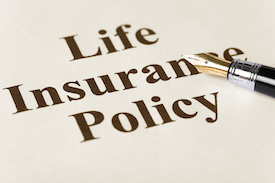 This type of policy pays out a monthly benefit throughout the term of the policy and can be used to replace an income of your partner, husband / wife in the event of death. All the above policies can be taken on a joint or single life basis. To discuss which cover would be best suited to your situation please ring Manchester Mortgages on 0161 706 0242 or complete and send the Contact Us form for a personal illustration.